Here at The Churchill School we believe that technology provides many opportunities to synergize content with skill. 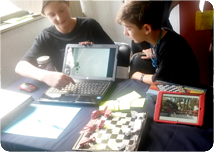 Through ICT classes and the use of iPads in the classroom, students become digital learners who are able to construct new tools, solve new problems and communicate ideas. As we look to promote 21st century skills, we are beginning to devote just as much time to students’ technology fluency as we do to their reading and language fluency. 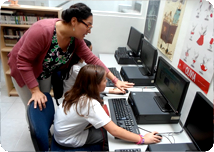 We see technology as a tool that aims to develop much of the IB Learner Profile and Attitudes, especially communicators who work collaboratively in creative ways. 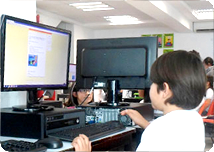 It is important for us that they learn to assess the validity of the information they find on the internet and use it to advance their understanding. It is an incredible tool which makes them actors in their learning process. It also helps promote our inclusive philosophy as it is a defining tool in removing certain barriers and making learning accessible to all students. An important benefit is that we are active members of ASI (Alliance for Internet Security), through which we have a "Contract of the Regulations for the usage of Information and Communication Technology in School".